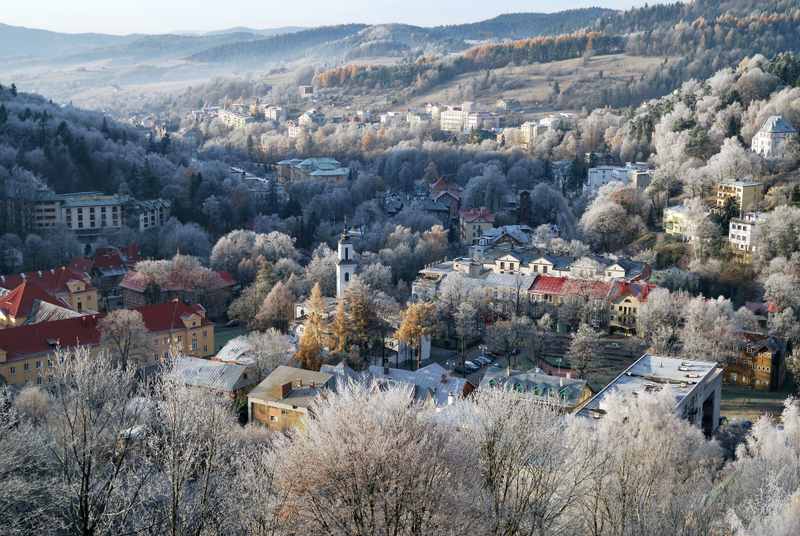 Krynica-Zdrój borough is located in the south-east part of Małopolskie voivodeship, in the district of Nowy Sącz, its north-east part is adjacent to the district of Gorlice. The east and south border of the borough is at the same time Poland’s border with Slovakia. 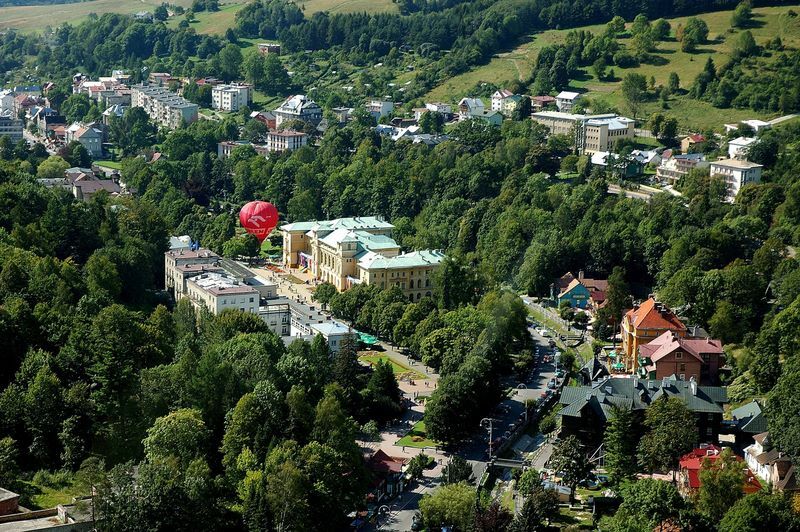 There is an A-road and a few B-roads that lead to this SPA town. Road 75 is the most frequented one, it leads from Nowy Sącz through Nawojowa, Łabowa and the picturesque Krzyżówka Pass. 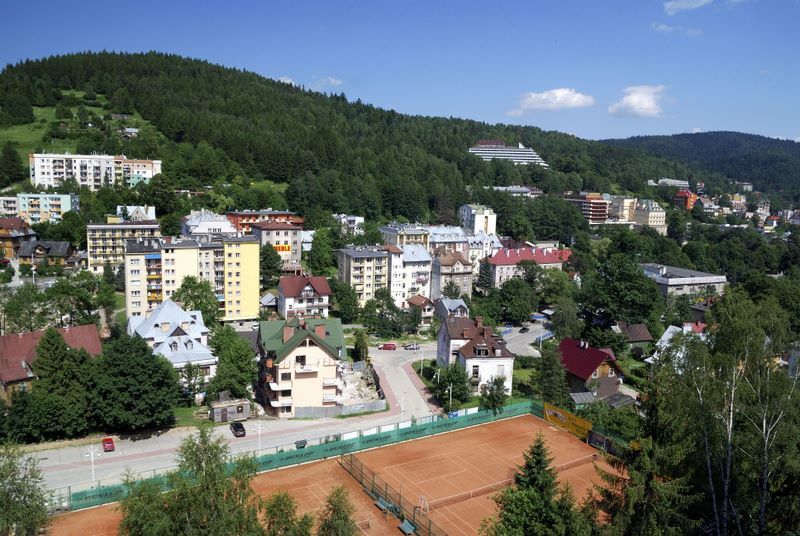 There is also a possibility to reach Krynica-Zdrój by road 971 that leads from Piwniczna through Żegiestów, Muszyna, along the beautifully winding bank of the Poprad river, which constitutes a natural frontier with Slovakia here. It is also possible to follow this route by means of railway line Tarnów-Krynica that allows passengers to admire beautiful scenery. Road 981 is another possibility to reach Krynica, it leads from Grybów through such villages as: Kąclowa, Florynka, Polany, Berest and situated high Krzyżówka Pass. Tourists from abroad can reach Krynica, arriving from Slovakia through the border crossing points in Muszynka and Leluchów. For those following tourist trails there is an access: going from Wysowa through Lackowa peak (997m. a.s.l. ), Dzielec and Huzary – it is green trail; from Hańczowa through Izby and Mochnaczka – red trail; from Leluchów through Dubny peak (904m. a.s.l.) and Szalone – blue trail. Towering over the surroundings Jaworzyna Krynicka is an important junction point of all trails mentioned above and it is also a point from which western part of Beskid Sądecki (Radziejowa range) can be reached.